01. What is baked custard? 02. What causes custard to set? 03. Why is baked custard cooked in a water bath? The danger of curdling is solved by cooking custard in a water bath. 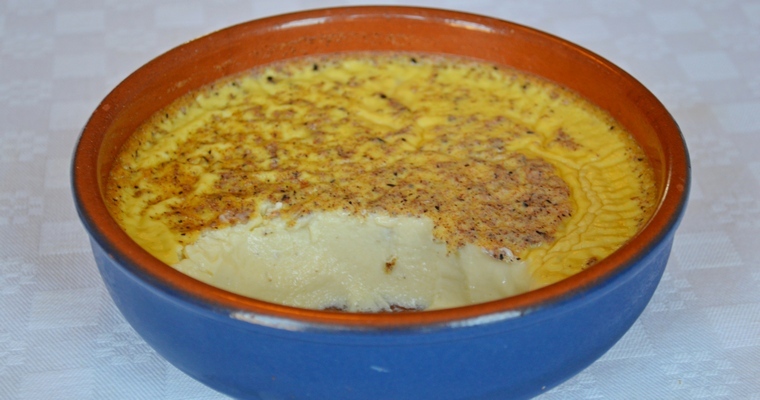 This simple technique involves pouring the custard into a dish, and then sitting the dish in a deep roasting tray half-filled with water. 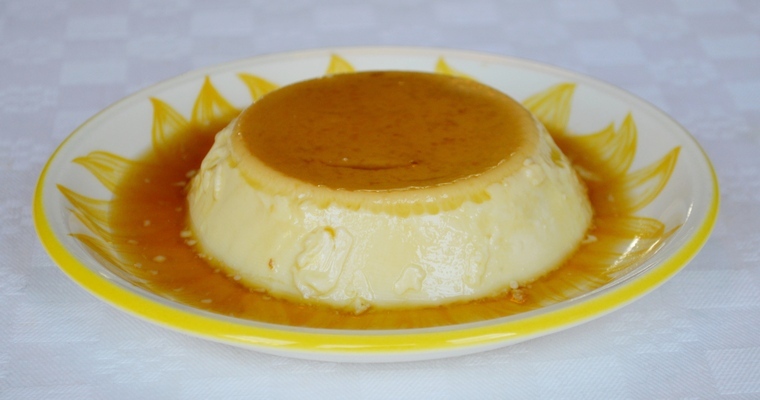 As the temperature of the surrounding water cannot exceed 100°C/212°F, the custard is insulated from direct heat. However, custard continues to cook for several minutes even after it is removed from the heat source. This is called carryover cooking, and refers to the fact that the residual heat from the exterior of hot food will travel to the cooler interior until an equilibrium of temperature is reached. This heat transfer exchange explain why pretty much all food benefits from resting, and not just meat. 04. How do I prevent baked custard from overcooking and weeping? 05. Can you make dairy-free baked custard using nut milks? 06. Which is the best nut milk to use in custard? 07. How can I use up the leftover egg whites? Pour the milk into a saucepan. Slit the vanilla pod in half length ways. Scrape out the seeds with the tip of the knife and add to the milk, along with the pod. Heat slowly over a gentle heat to just below boiling point, until you see small bubbles barely breaking the surface. Expect this to take at least 10 minutes, and stir frequently with a whisk or wooden spoon. Take off the heat. Fish out and discard the vanilla pod. Whisk the eggs and honey until fully blended. Gradually pour the hot milk over the eggs in a thin stream, whisking constantly to prevent the hot milk from curdling the eggs. Keep whisking until fully blended. Push through a fine-mesh sieve to remove any lumps. Pour the custard into 4 ramekins with a capacity of at least 200ml, or one large dish – the recipe makes about 800ml. Finely grate the nutmeg, then sprinkle over the top (you may have more nutmeg than you need, but personally I go for a generous dusting). Arrange the ramekins / dish in a deep roasting tray, leaving space around the sides. Pour in just-boiled water from the kettle, until it reaches half-way up the sides of the ramekins. Transfer to the lowest shelf of the pre-heated oven, where the heat is gentlest. Check after 30 minutes for ramekins / 1 hour for a large dish. The custard should be just set. Test for doneness by giving a gentle shake – if there is a slight wobble in the centre of an otherwise solid mass then it is done, otherwise return to the oven and re-test in another 5 minutes. Either leave to cool for 30 minutes and serve warm, or cover with plastic wrap and refrigerate to serve chilled. 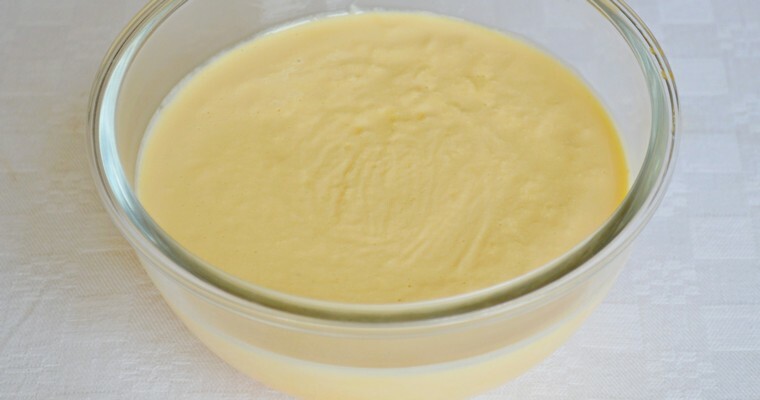 The custard will keep well for up to 3 days in the refrigerator. For best results, remove from the refrigerator half an hour before serving. For a refreshing breakfast, serve with tart berry fruits. I’m looking forward to trying this recipe. Was just wondering if I make it in a large tray how would that work? I’m assuming there is no boiling water required as you would do with the ramikens? Glad to hear you want to try my recipe 🙂 If you are baking it in one large dish (rather than individual ramekins), you still need to bake it in a water bath. This will stop the custard from overheating and scrambling. When baking in one large dish, I use a round, Pyrex casserole dish that has a diameter of 19cm across the top. This size of dish easily fits into a large roasting tray. Just set it in the middle of the tray and pour the water around it. I’ve slightly rewritten the instructions to make all that a bit clearer. Hope you enjoy. I love egg custard!